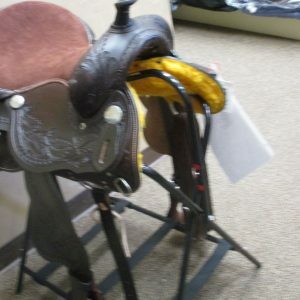 This set is a great saddle set with all the gear you need to get going. 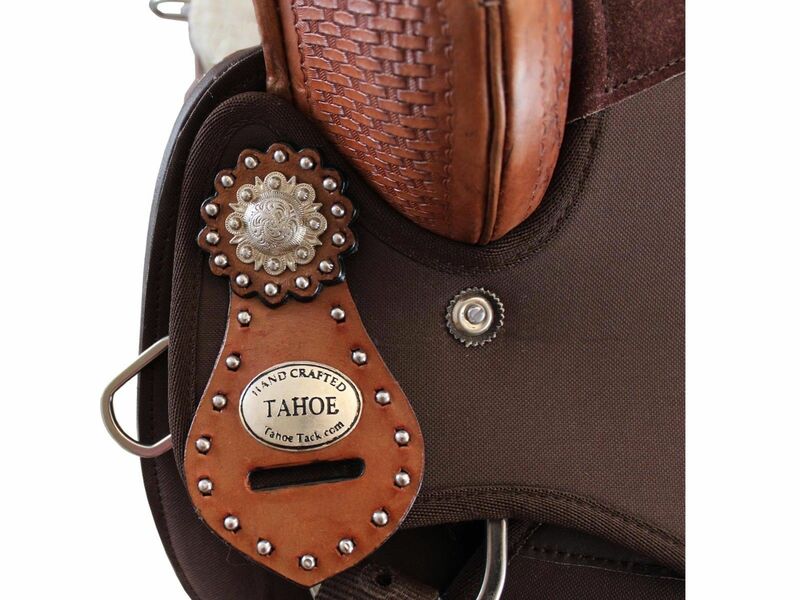 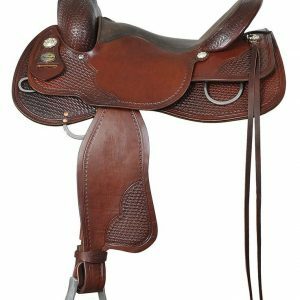 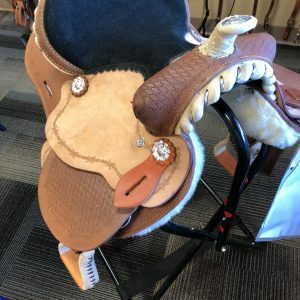 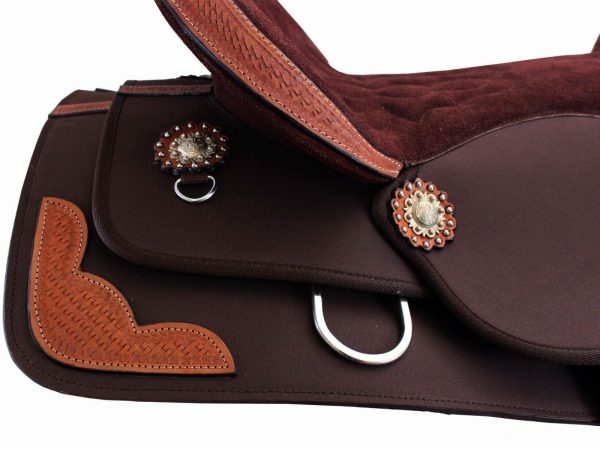 The synthetic saddle is light weight, as to not weigh your horse down and flashy enough with its leather accents and studded Conchos. 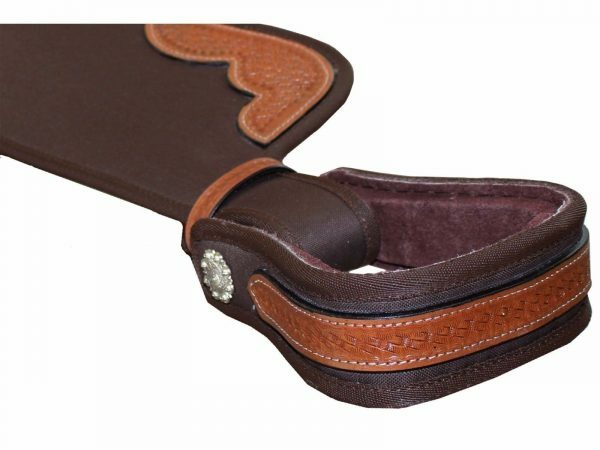 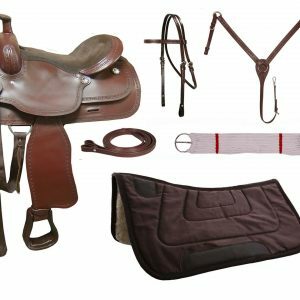 The matching headstall, breast collar, saddle pad and reins will complete your horse’s look to get you noticed in and out of the ring. 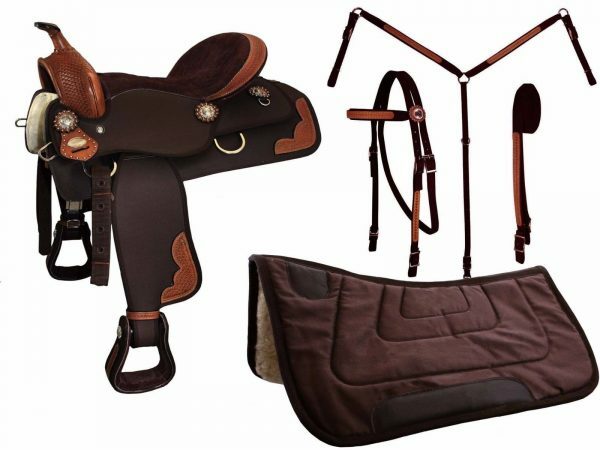 Bit not included.